When quick response codes were first brought into the market, they were only available in black and white. With technological advancements, it is now possible to create QR codes in different colors and designs. These types of customized QR codes are also known as visual QR codes. These codes can be created to incorporate any design, image or text.With visual QR codes, you can turn an ordinary QR code idea to a masterpiece. You can include your company’s logo in the QR code or you can place an image in the QR code. All this is done without tampering with the QR codes scanning abilities. All marketers understand how extremely competitive the world of branding is. This competition in return creates the need to stay ahead in the sector. For this reason, marketing insiders have learned that visual QR codes can be effectively applied to make sure that businesses and companies stay ahead of competition.This is why visual QR codes have become abundant in many places. QR codes are used in several ways. Generally, they are used to give current and potential clients added value. Added value here can include the access to exclusive coupons, promotions, contests and freebies. Other QR code uses include allowing users to access more information about a specific product depending on what the company owning the QR code deals with. Why should you use visual QR codes? QR codes make client-business engagements online easy. This in turn will increase the amount of traffic to the business’ website. With visual QR codes, you can update your promo deals without incurring any costs. This is because you can easily edit QR codes. Visual QR codes are more engaging than ordinary QR codes. They give your marketing campaign a more interactive and attractive look. 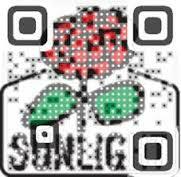 Anyone will be interested in scanning visual QR codes just for the reason that they are attractive. Very few people really understand the importance of regular QR codes let alone visual QR codes. One of the main reasons this is so is that regular quick response codes are unappealing and not easy to relate to. Other people see these codes as picture clutter, which ruins the overall mentality about all QR codes. For this reason, Visualead is an online QR code generator that allows its users to create attractive QR codes. This has led to greater use of QR codes since more people are compelled towards scanning these attractive codes. Find out more about using visualead to create visual QR codes.